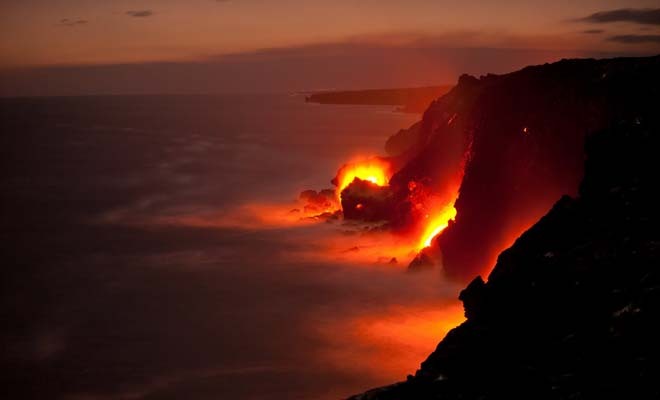 There are two forms of Hawaiian lava: one form is jagged and stony while the other ropy and smooth. And the names of these two lava forms are pahoehoe and ‘a’a. The word “‘a’a” represent several meanings, including “burn” and “challenge” while the Hawaiian word “pahoehoe” represent the meaning smooth or unbroken is also used to refer “satin”. Because the jagged ‘a’a is hot, it might difficult for you to walk over it on bare foot. 20 Interesting Facebook Facts You Need to Know!